I started making wine in 1984. I was a sophomore at Tupper Lake High School in the Adirondack Mountains of New York State. Biology class taught me exactly how to produce my own wine, and soon I was fermenting Concord grape wine in my closet. As the romance of drinking cloudy, bread-yeasty wine quickly faded, I took a break from winemaking for 18 years. I went to college for fine art, studying art history, photography, painting and sculpture. I then made a living as a cook for some fun restaurants in New York, New Mexico, and Colorado. 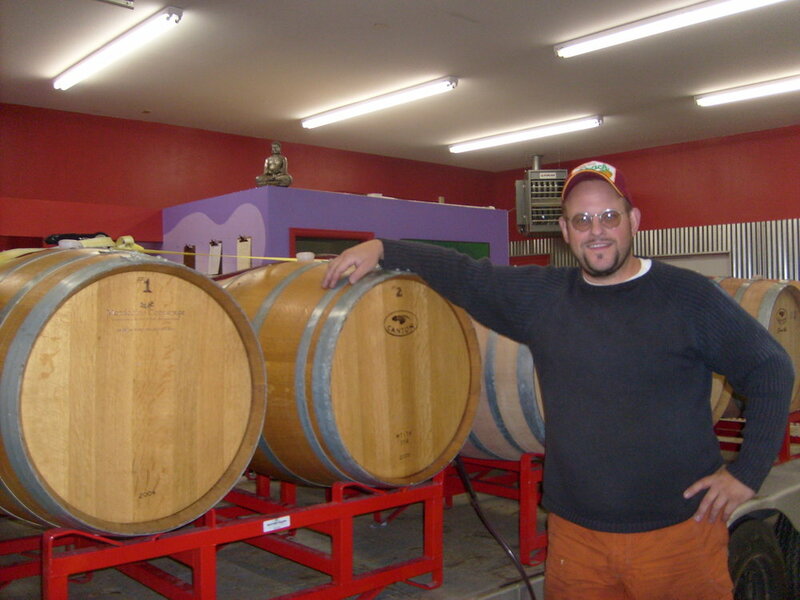 Eventually, I took a job in 2002 as a cellar hand/sales person at Mountain Spirit Winery in Salida, Colorado. I caught the “wine bug” during my first harvest of Colorado grapes, and, as they say, the rest is history. I started fermenting everything in sight: dandelions, apricots, honey, chokecherries, grapes, even potatoes! In 2004, I formed a group of local “foot-stompers” to hand-pick and foot-stomp Colorado grapes each harvest as I made wine for the group. We all shared the duties of crushing, pressing, bottling, and labeling the wine as we potlucked our way through the vintages. It was so much fun and became so popular, that, through popular demand for our dry, food-friendly table wines, I founded Vino Salida Wine Cellars in 2009! Vino Salida still welcomes the community to foot-stomp every autumn equinox to celebrate the harvest season! We also taste our wines with visitors every day in our tasting parlour among the barrels and tanks of aging wine. Our philosophy of making wine accessible through educational and fun tastings has made Vino Salida a great mountain winery destination for those seeking a unique Colorado wine experience. Welcome to the family!